Now that your orchids are in their new winter home, their growing environment has is changed. And so should your plant care. They've spent the summer building up energy and many are getting ready to bloom! Proper plant care can make the difference between enjoying magnificent blooms or settling for plain green stems. Adequate light is key to growing healthy plants that's especially true for orchids. Even though your plants needed protection from the sun outdoors, they where getting bright light from all directions. Indoors light will be from only one direction so they will need some sun. East or west windows are good, but south facing windows are better. North windows won't due because they simply don't have any sun. Overwatering is the biggest problem for plants that have just come in from outdoors. Their growth rate slows dramatically indoors and your watering should too! 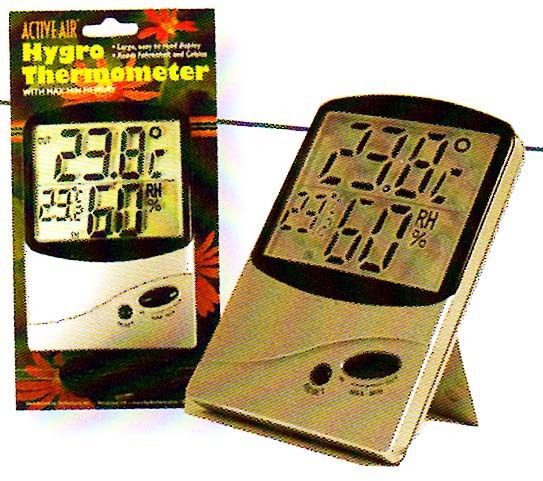 The water gauge in our hydroponic system makes correct watering easy! Because the growth rate slows, nutrients should too. Dilute nutrients to 1/2 strength and apply every second watering. In nature, winter is the dry season for many plants and that's when they bloom. Studies have also shown that cutting back on nitrogen (the main ingredient in all fertilizers) helps trigger a bloom cycle. So less water with diluted nutrients might actually help trigger a bloom cycle in your plants. Your orchids have adapted to temperatures that fluctuated by 20 degrees or more while growing outdoors - with humidity levels reaching 90%. Reproducing this indoors can be a challenge. 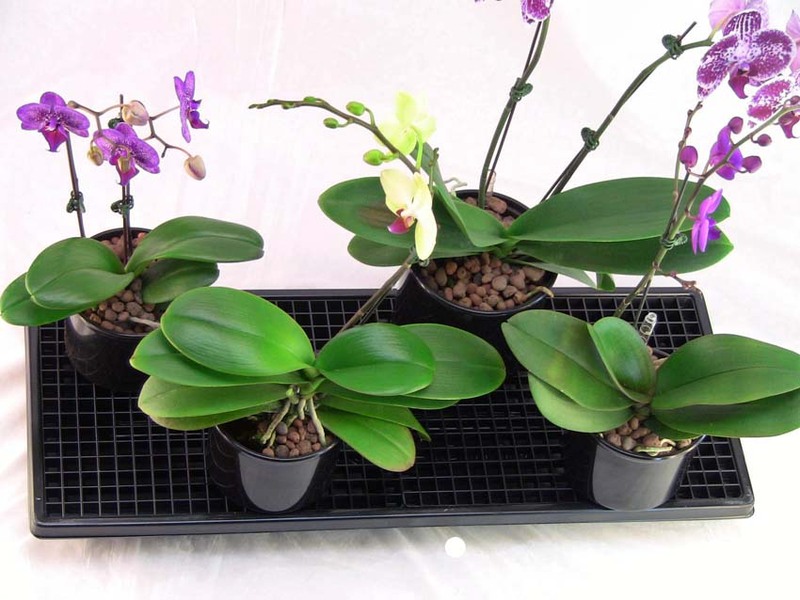 Varying temperatures and providing adequate humidity are the two biggest problems growers face when growing orchids indoors in winter. Want to be a better orchid grower? Stop guessing and start measuring. Orchids are much happier in cool temperatures indoors - even "warm" growers like phalaenopsis. Cool air holds more moisture - which means higher humidity. 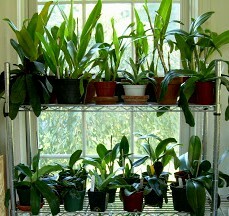 Increase the humidity for your orchids by closing off the heat vents - which blocks the hot, dry air from your furnace. Your plants will enjoy the cooler temperatures. add humidity trays to your growing area.